Nokia Ka Ek or Naya Smartphone Nokia 2 Launch Ho gaya hai. 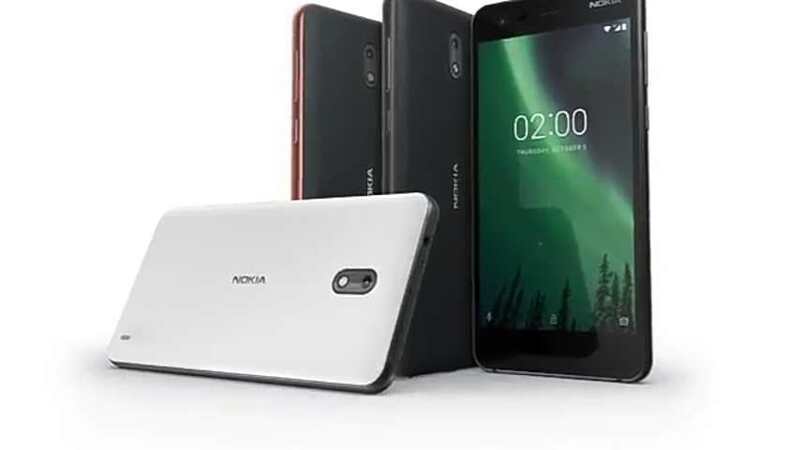 Is new Nokia 2 me Highlights Features 4100mAh Battery Hai. Nokia Ka Kahna hai Ki "Battery Life 2 Days Hai." Ye Ek Mid Rang Phone Hoga Nokia 2 Ki Prices India Me Kitni Hogi Ye Conform Nahi Hai But Estimated Price 6500 to 7000 Rs Hogi. Mid-November Ko Ye Phone Available Hoga. Nokia 2 me 5.5 inches Ka HD Screen corning gorilla glass 3 ke Protection ke Saath aata hai. 1 GB RAM or 8 GB Internal Storage He. Snapdragon 212 processor He Jo Ki 2015 Ka Old Processor He. Camera Ki Baat Kare to 8 MP Rear camera or 5 MP Front Camera Hai. 4100mAh Ki Battery Hai or Phone Black, white Colour Me Available Hai. Phone me Fingerprint scanner Nahi Hai. Nokia 2 Ki Price in India Estimated 6500-7000 He To Ye He Nokia 2 Ka Complete Package. 0 Response to "Nokia 2 Launched Price, Specification All Information In Hindi"